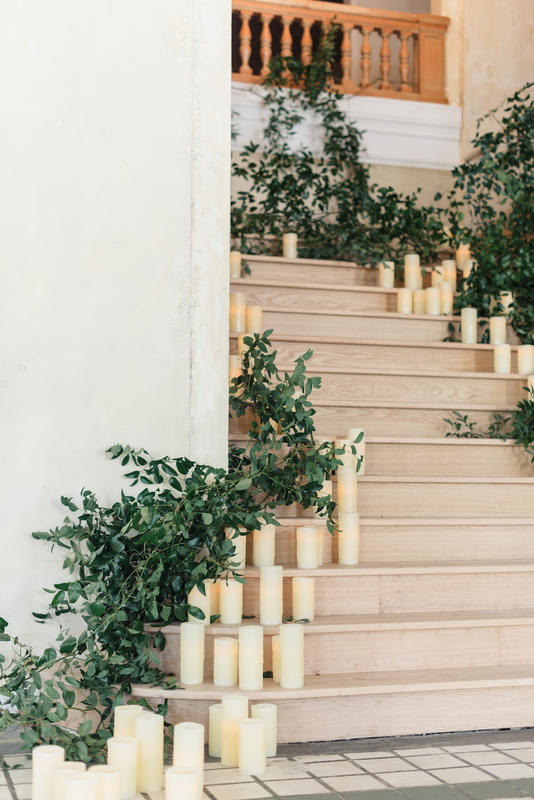 The Pantone color of 2017 is “greenery” and the palette behind this modern wedding inspiration shoot. 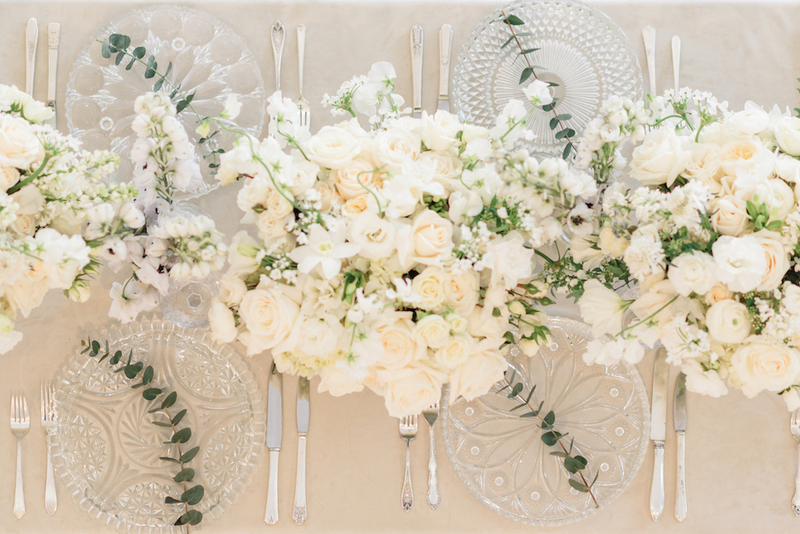 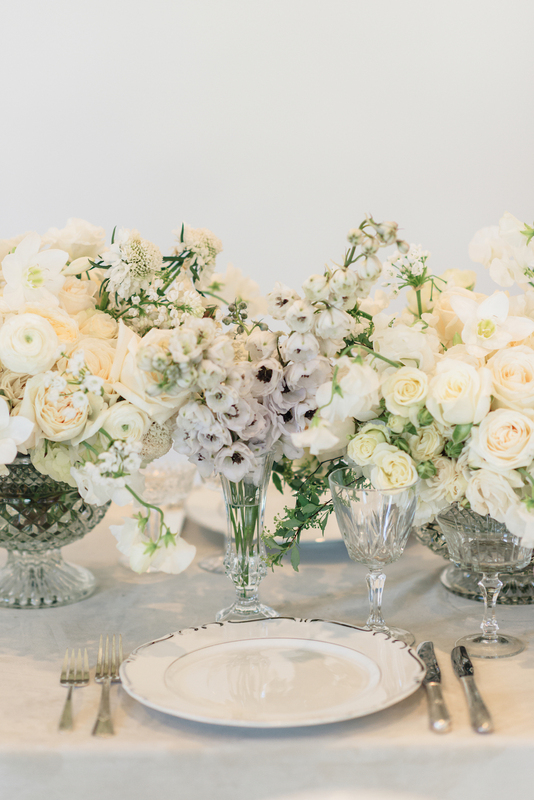 Designed by Victoria from Victoria Ann Events, these tabletops are filled with modern and elegant florals. 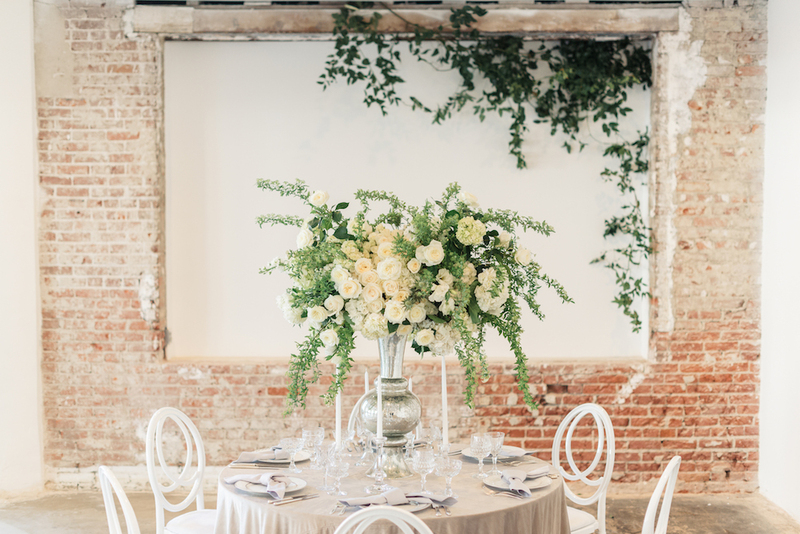 Greenery is super lush and works as the perfect palette for a chic and modern wedding in a loft or open space. 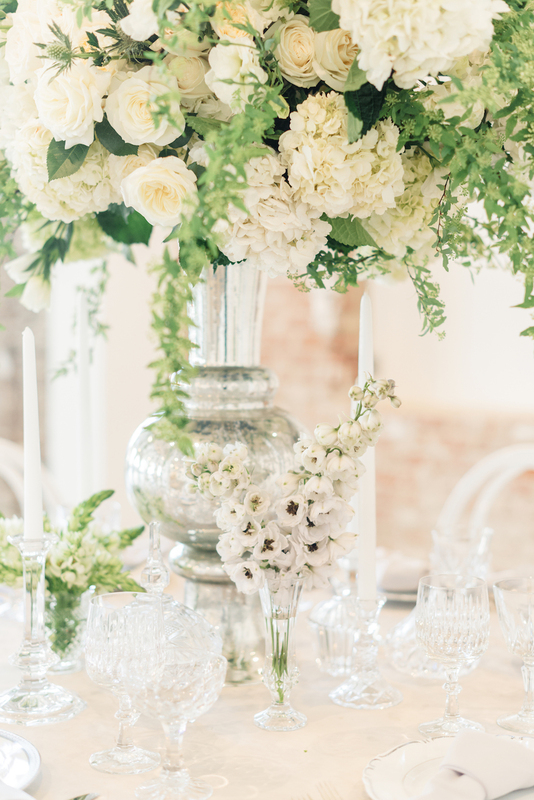 Check out these three different greenery inspired tabletops, packed with pops of the Pantone color, greenery. 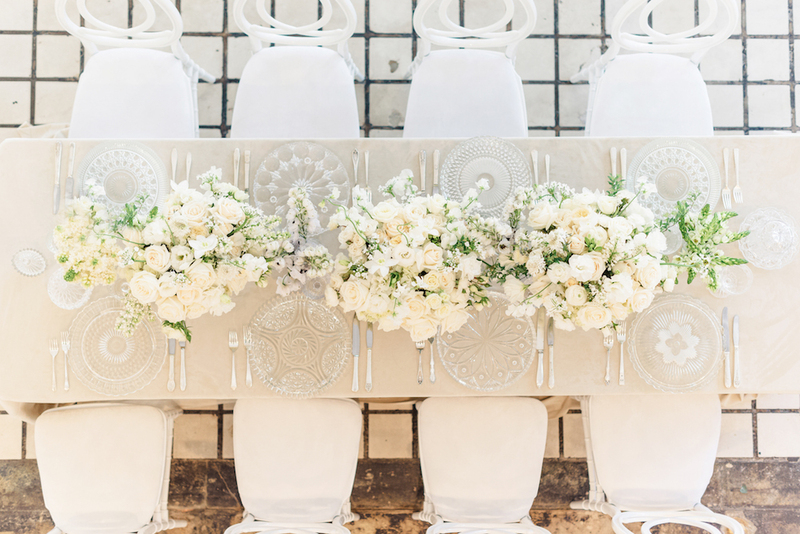 Photographed by Sanaz Photography, you’ll want to incorporate these wedding details into your own wedding day. 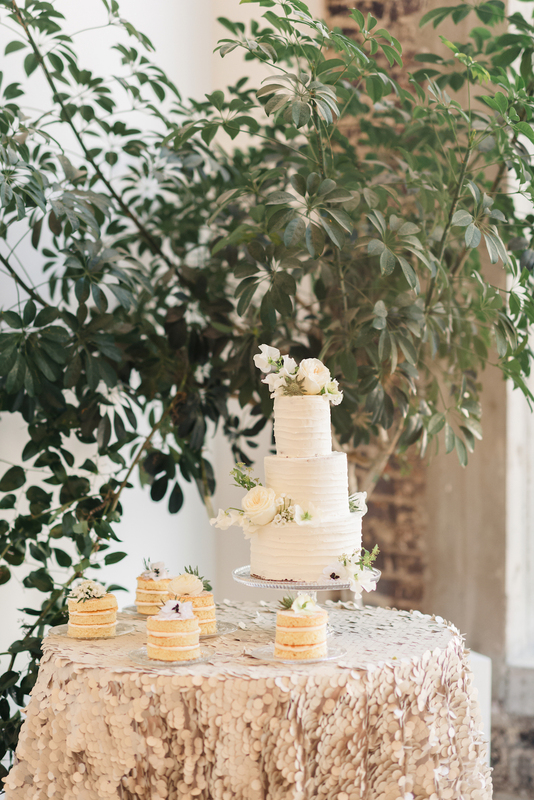 Scroll down to see all of the greenery wedding inspiration. 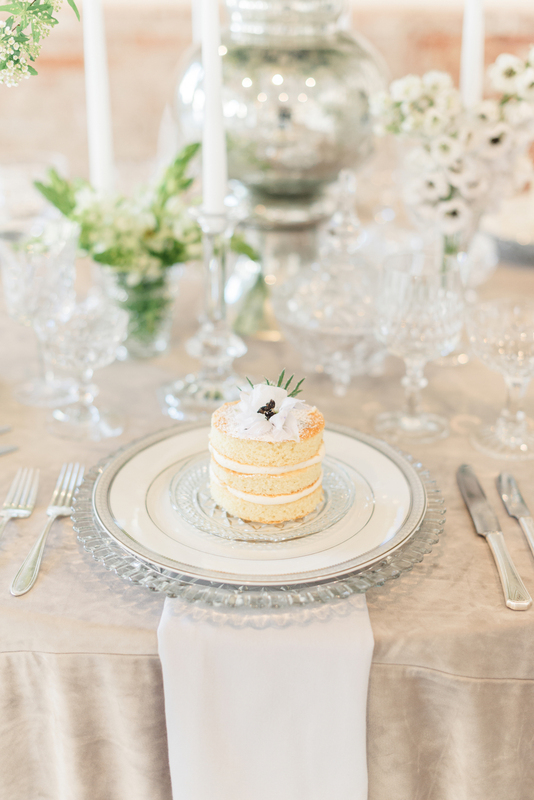 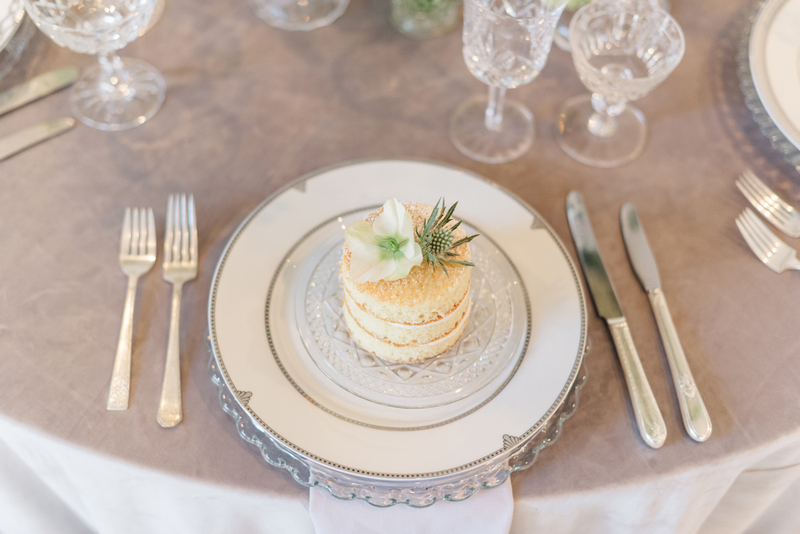 Modern and clean, greenery is an excellent pairing with cream. 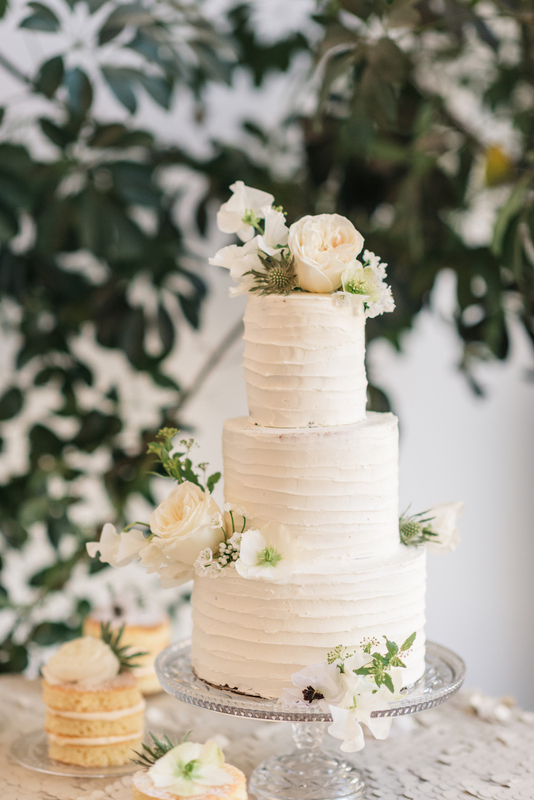 This chic buttercream cake is adorned with greenery for a hint of color. 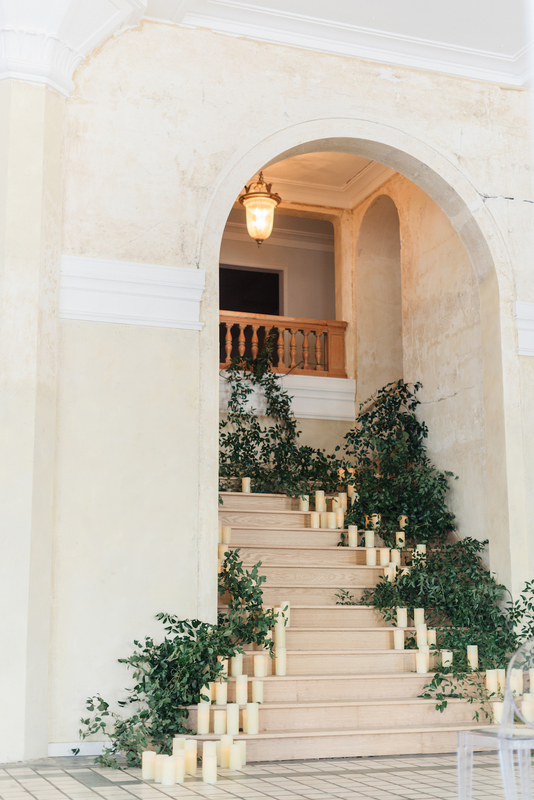 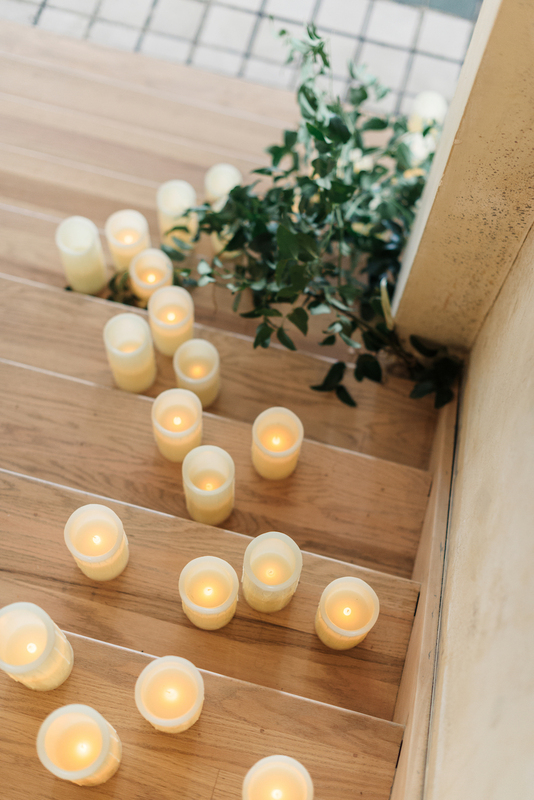 Cascading branches bring pops of greenery to this romantic stairway. 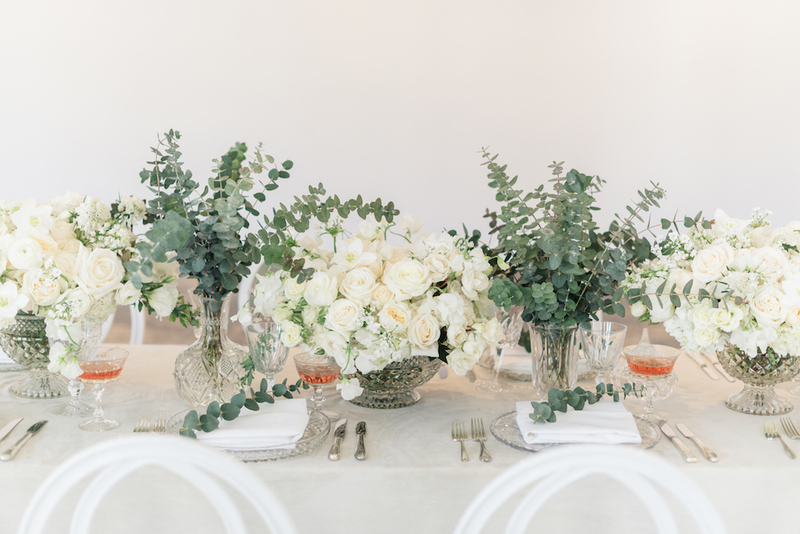 Eucalyptis branches are a simple and elegant way to incorporate greenery into your wedding day. 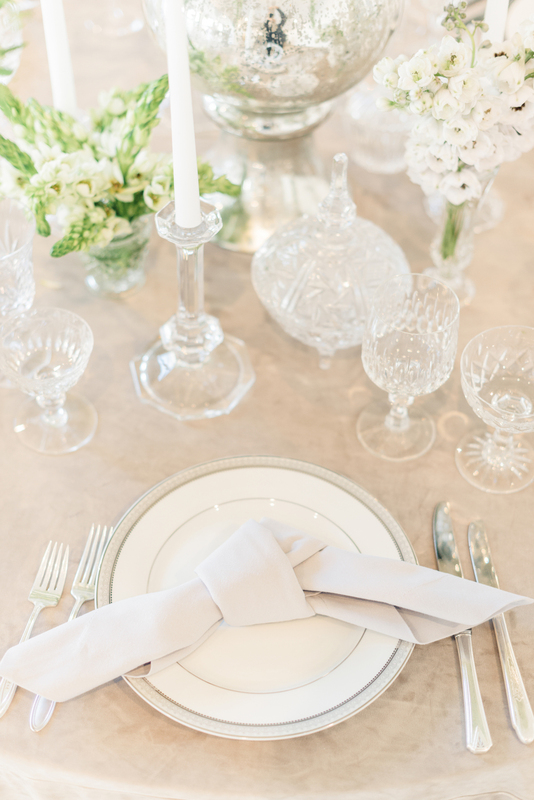 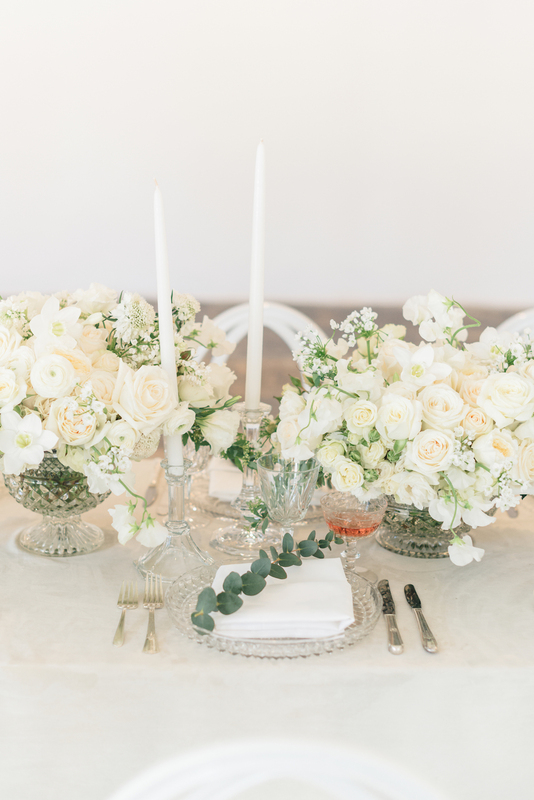 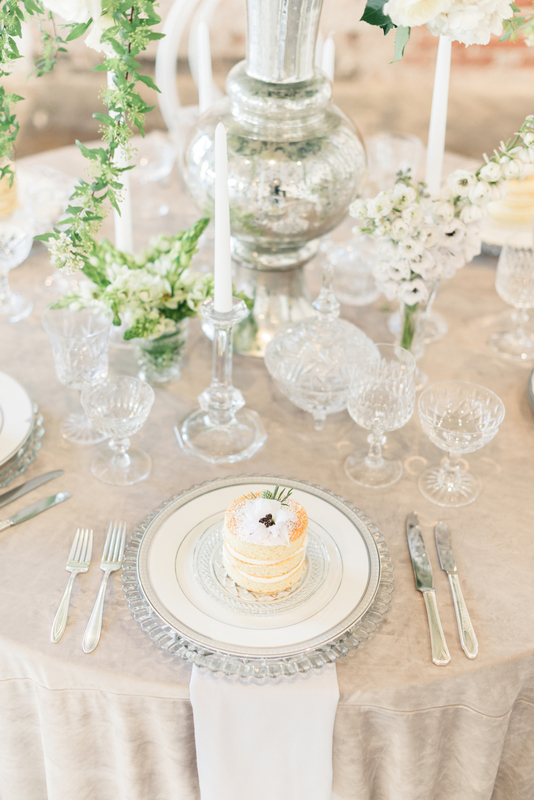 Greenery also pairs beautifully with blush tones. 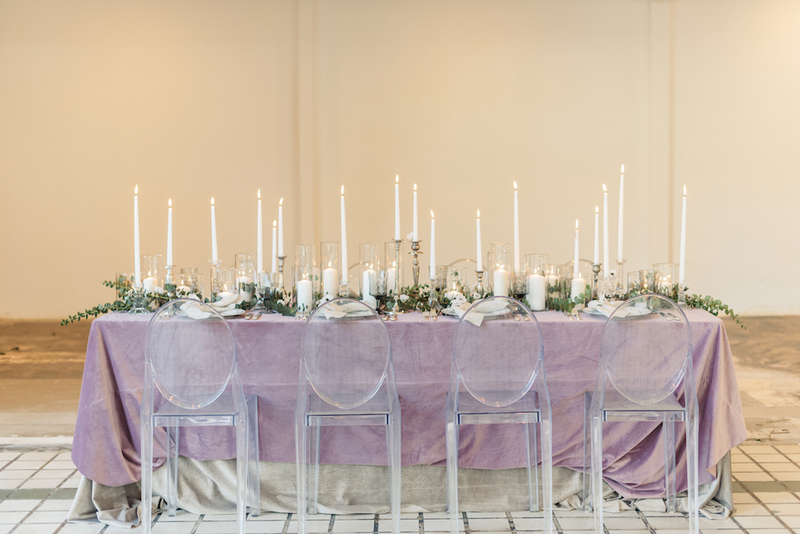 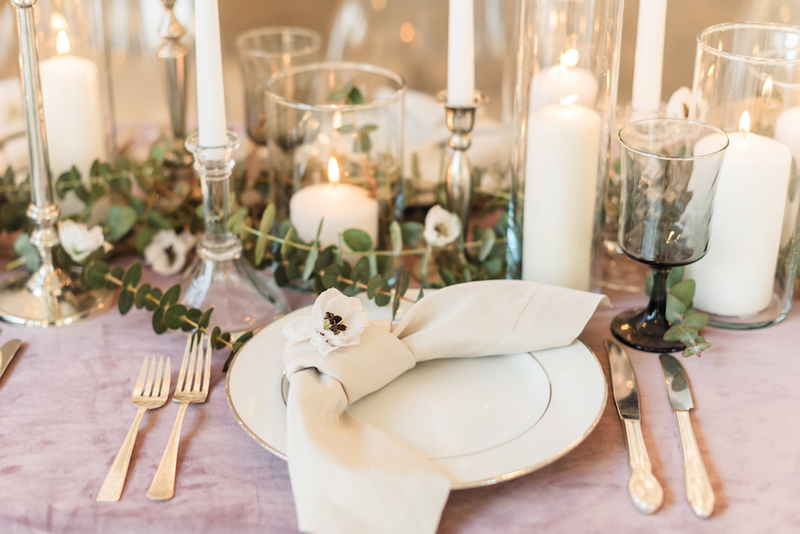 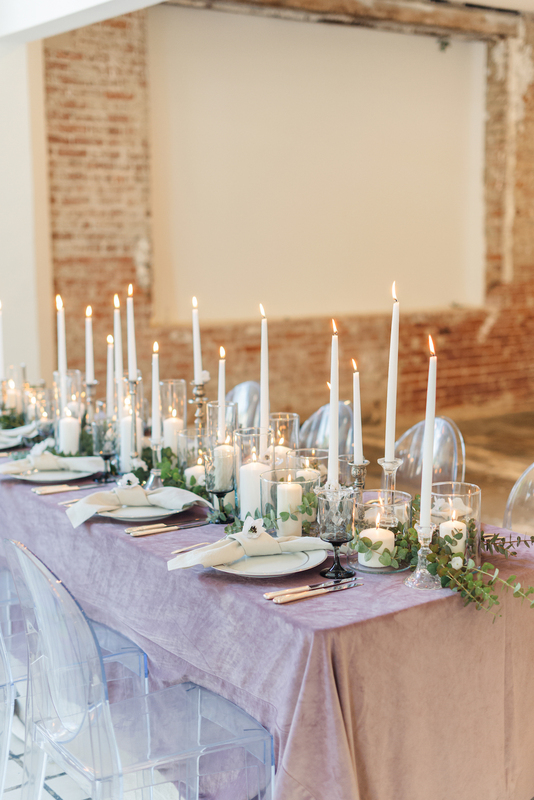 This blush velvet linen is the perfect backdrop this modern tabletop setting.